The Public Defender epitomizes why so many have entered law school. They seek not fame or fortune. Instead, they seek the higher level of professional satisfaction of representing the people who most need legal representation. Public Defenders stand alone, armed only with their wits, training and dedication. Inspired by their clients’ hope, faith and trust, they are the warriors and valkyries of those desperately in need of a champion. Public Defenders, by protecting the downtrodden and the poor, shield against the infringement of our protections and, in reality, protect us all. In 1963, the Florida Legislature responded to the landmark United States Supreme Court decision in Gideon v. Wainwright, granting defendants the right to counsel in felony cases, by creating the Office of the Public Defender. In Gideon , the Supreme Court held that the right of an indigent defendant in a criminal trial to have the assistance of counsel is a fundamental right essential to a fair trial, and Gideon’s trial and conviction without the assistance of counsel violated the Fourteenth Amendment. Thus emerged the first statewide public defender system in the nation. Our country’s highest court has also upheld as a fundamental right essential to a fair trial that an indigent person must receive the assistance of counsel in juvenile delinquency proceedings, In re Gault , and in misdemeanor cases, Argersinger v. Hamlin. 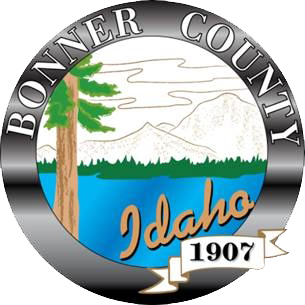 civilian witnesses from Bonner County summoned by another state to testify in a criminal case in that state in the court determination of whether the witness must obey the out-of-state summons pursuant to Idaho Code § 19-3005, et seq. The Goal of the Public Defender is to provide a fully competent, effective, and ethical defense to each client whose cause has been entrusted to the office for representation. The Public Defender’s Office strives to provide all mandated legal services in an effective and efficient manner and to conduct that representation so that, insofar as possible, the county criminal justice system operates effectively, efficiently, and achieves justice for the citizens of Bonner County. Until July of 2002, public defenders in Bonner County had traditionally been private attorneys with whom the County contracted to provide indigent defense. Under authority of Idaho Code § 19-859(1), in July of 2002 the Board of Commissioners established the first full-time Bonner County Public Defender’s Office by appointing Hugh K. Nisbet, Jr., to become its Chief Public Defender and setting aside funds for the employment of staff and creation of an office. Thus charged, Mr. Nisbet hired two additional attorneys and three clerical staff members. Together they set about the serious business of preparing an appropriate office facility to house the Public Defender’s Office and creating office systems necessary to open for business. On October 1, 2002, the Bonner County Public Defender’s Office officially took over the case load of existing contract defenders, consisting of over 300 cases, and began representing clients in those cases and in all new cases to which the Public Defender’s Office was assigned by the Courts after that date. Between October 1, 2002, and September of 2012, the Public Defender’s office has handled more than 11,000 cases. Along with the rest of the county departments, the Public Defender’s Office has submitted a Five-Year Plan to the Bonner County Commissioners in which we have attempted to project the resources that will be required to effectively operate the Public Defender’s Office in the future should Bonner County’s growth continue as it has in recent years. All of the staff at the Public Defender’s Office feel truly blessed to be working with a group of people who are dedicated to providing legal representation to those most in need. As witnessed by the number of cases handled by the office to date, the need is definitely there, and although the case load is high, so are our spirits. We look forward to continuing to serve our clients’ needs.